Contains valuable natural antioxidants, vitamins and selenium. 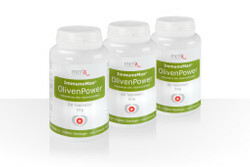 Olive oil polyphenols, especially hydroxytyrosol, help protect blood lipids from oxidative stress. With a subscription order you can conveniently ensure your long-term supply. A minimum term of 6 months is agreed, after which you can cancel the contract informally at any time with a notice period of 4 weeks. 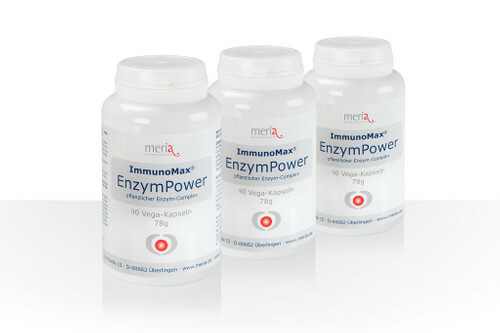 You will receive 3 packs of ImmunoMax® EnzymPower every 3 months, post-free. You save 15% on subscription with immediate payment on the 3-month package at a value of 89.00€ (instead of 103.50€). 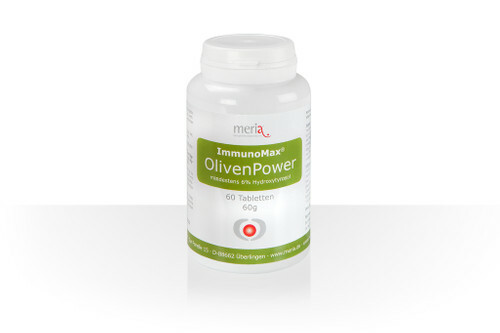 The effectiveness of ImmunoMax® OlivenPower is based on a permanent and regular intake. This is the best way to ensure the basis for lasting protection. We deliver in pharmacy quality! Food supplements. 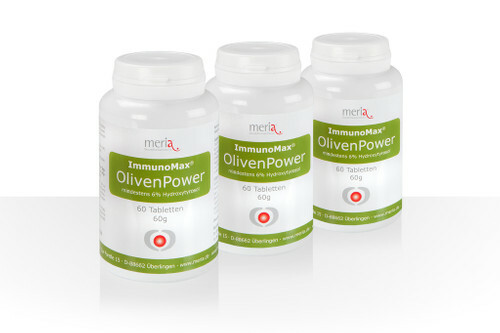 All oral meria® products hold the certificate of marketability issued by a sworn food expert and are fully marketable in accordance with German and EU food law. 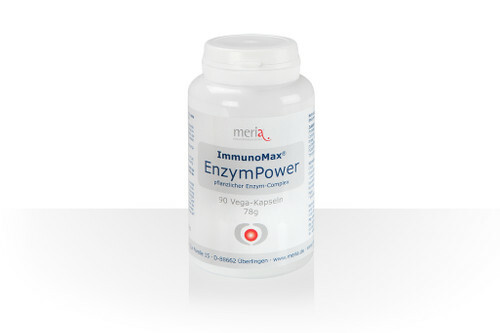 With sufficient water, take 2 tablets daily unchewed with or after a meal. Do not exceed the indicated daily intake. D-alpha-tocopherol acetate, carrier fatty acids (vegetable), separating agents’ silicon dioxide and magnesium stearate, L-selenomethionine. Storage: in closed plastic jar in dry and cool place! Food supplements should not be used as a substitute for a balanced and varied diet or a healthy lifestyle. Keep out of the reach of small children!